Been wondering when someone would grab the HTC IME keyboard from the EVO 4G and port it to the Droid X? The posse at XDA are already on it. As you can see from the screenie above, landscape doesn’t match up perfectly, but everything works including the speech-to-text. Portrait mode also looks like perfection. 1. 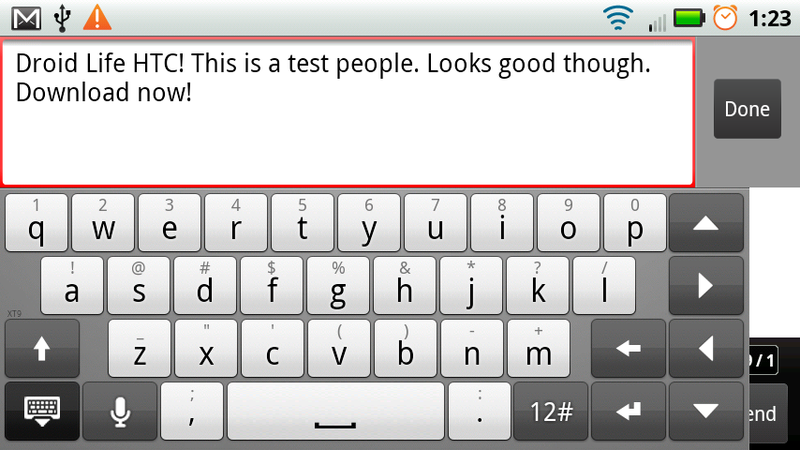 Download the EvoKeyboard.apk to your Droid X. 3. When it finishes, return to a home screen and go to Menu>Settings>Language & Keyboard. As always, let us know if you run into any issues with it.